Turning, pushing, adjusting, controlling and displaying. A knob has to perform many challenging tasks and depending on the application there are also design, temperature-resistance and weather-resistance requirements to consider, along with ease-of-installation and cost-effectiveness. 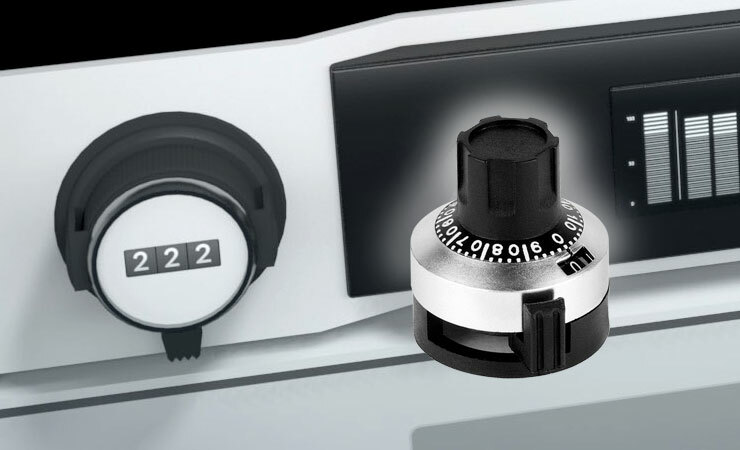 In addition to MENTOR’s standard Knob ranges, their modular Knob Systems can be fully utilised to provide the level of customisation required by the application. 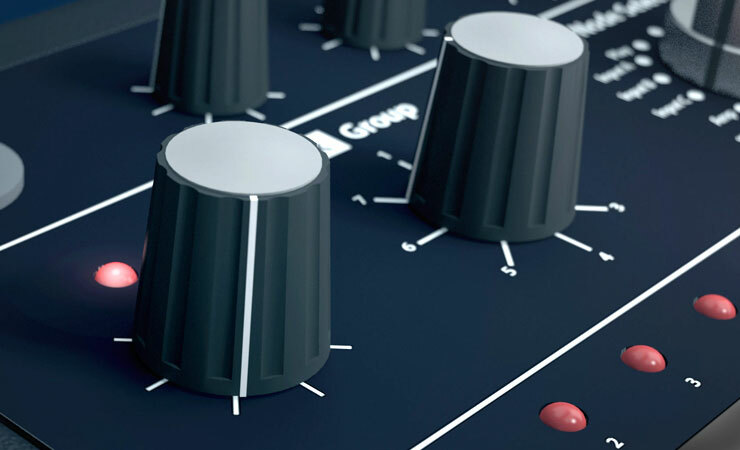 MENTOR offers a very wide range of control and adjusting knobs. 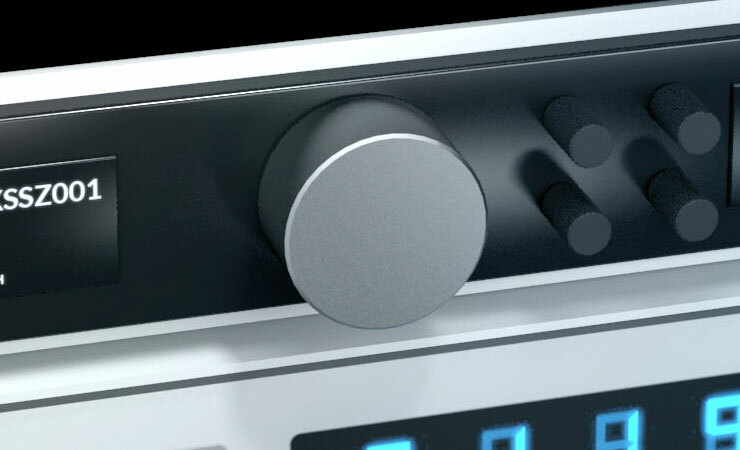 In addition to knobs made of plastic, aluminium and chromed brass, the ranges also include digital and analogue turning knobs, aluminium wing knobs and complementary accessories. A range of material options and fixings are also offered, for example different plastics, with a choice of collet or setscrew fixings. Many standard products are available off-the-shelf with short delivery times and low MOQs. Implementing customised solutions is one of MENTOR's core competencies - alternative shapes, colours, radii and dimensions are all possible. Experienced product developers will work with you to find the best engineering solution combined with cost-effectiveness. It is difficult to articulate or illustrate on a web page how the high quality finish and tactile qualities of German-manufactured MENTOR knobs can transform users’ perception of a product. Please contact Multitron to request samples, so you can judge this subjective issue for yourself. The image shows two prototype knobs with integral LED lighting to provide rotational indication. One knob has an illuminated indicator line and the other knob demonstrates an illuminated spot indicator. Please contact Multitron to discuss how custom indicator lighting can be used in your application. MENTOR plastic turning knobs are manufactured from ABS or PBT, with a choice of collet or set screw fixing. MENTOR's Aluminium Knobs are stylish and versatile, with many design options. Plus two ranges of Chrome Knobs. Analogue and Digital turning knobs for use with multi-turn, precision rotary potentiometers and other types of switch. The design of MENTOR's new LED Ring Lighting products combines their 99-year legacy in electromechanical components with world-leading, highly sophisticated competencies in Product Lighting. MENTOR's Knob Accessories range includes mechanical accessories, precision setting drives, shaft extensions, shaft reduction sleeves and many types of coupling, available with short delivery times and low MOQs.